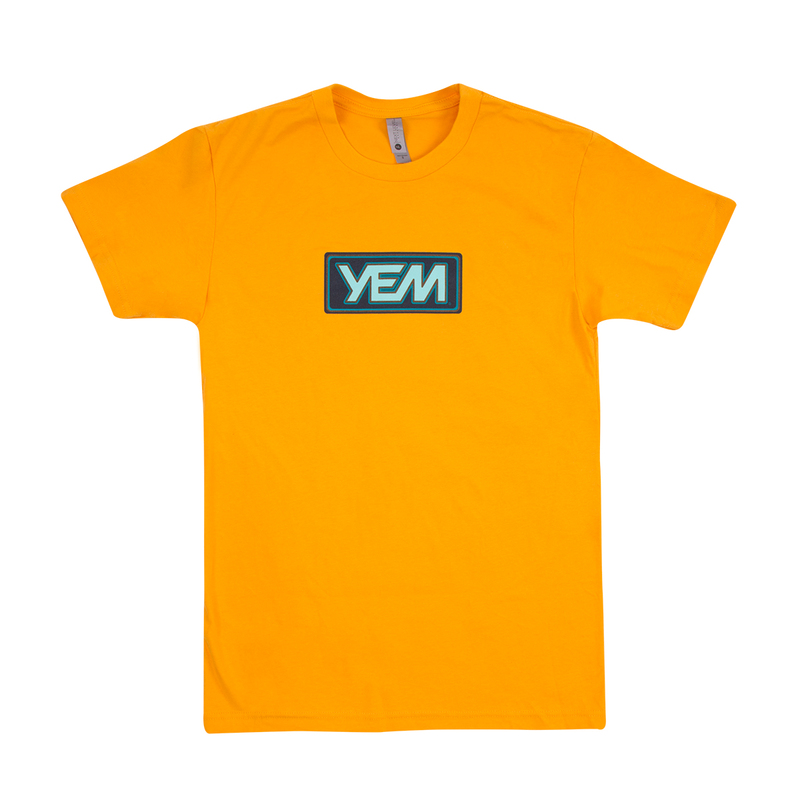 100% cotton t with classic YEM logo printed on the front. Sweet shirt! Super soft material.